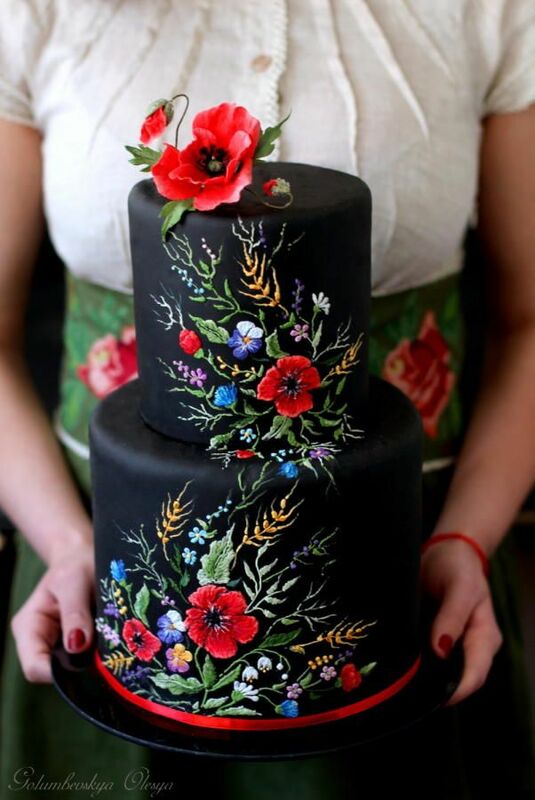 My favorite part of any wedding we plan or attend is seeing what cake or cakes the couple has chosen. What color did they choose? Did they have a cake topper or no? Did they use bright bold colors or did they go for something more muted? 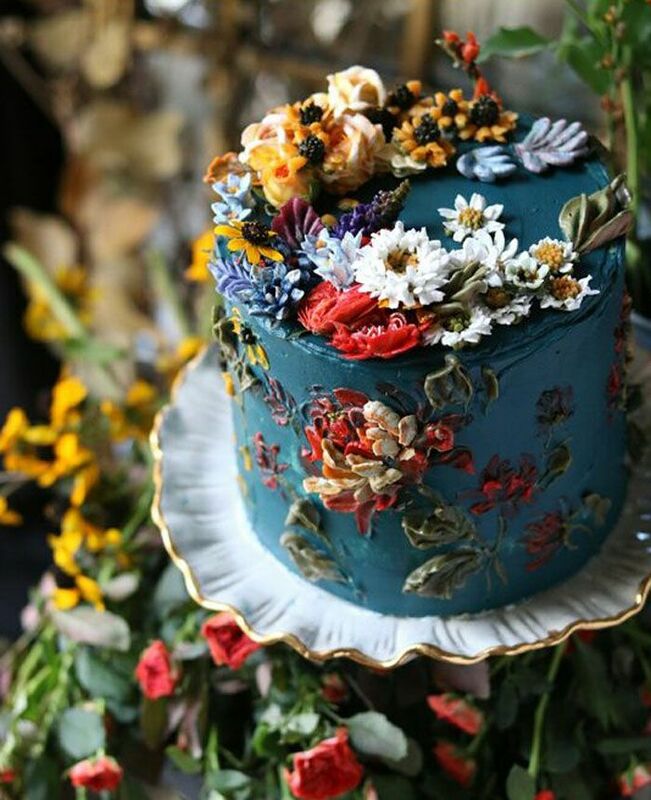 Its the cake on trend for the season or something more classic? Buttercream or fondant? As you can see, there is so much to consider when choosing a cake for your big day, and that’s not even getting in to the flavors! Here are a few things I suggest every couple consider before they go cake tasting (the best part of planning a wedding!). Suggestion One: First, think about the time of year you will be getting married. Getting married in the summer or spring could effect how your cake holds up in the heat. If your reception is indoors, the temperature shouldn’t be a problem. But if your reception is outdoors, buttercream may not be the way to go. No one wants a melted cake. A fondant or marzipan cake would hold up better in the heat. Or if neither or those are an option for you (personally, I love buttercream) consider only having your cake outdoors for the cake cutting and pictures, then send it back indoors to be divided up for guests. Suggestion Two: Second, think about the distance a between your cake vendor and your wedding venue. If you’re getting married in the summer, it will be a struggle to keep a car cool enough to transport a cake for a long distance. Consider asking each cake vendor how they plan on transporting your cake. Ask if their transportation is refrigerated, or what their plan of action is if something happens to your cake during transport. Suggestion Three: Last, think long and hard about the flavor of your cake. I know this seems like a given, but making a decision about flavor can really make or break your reception experience (Every guest remembers bad cake). While at your cake tasting, be sure to ask each baker what their most requested flavor is and why. Ask about how they keep each cake moist or flavor-filled. 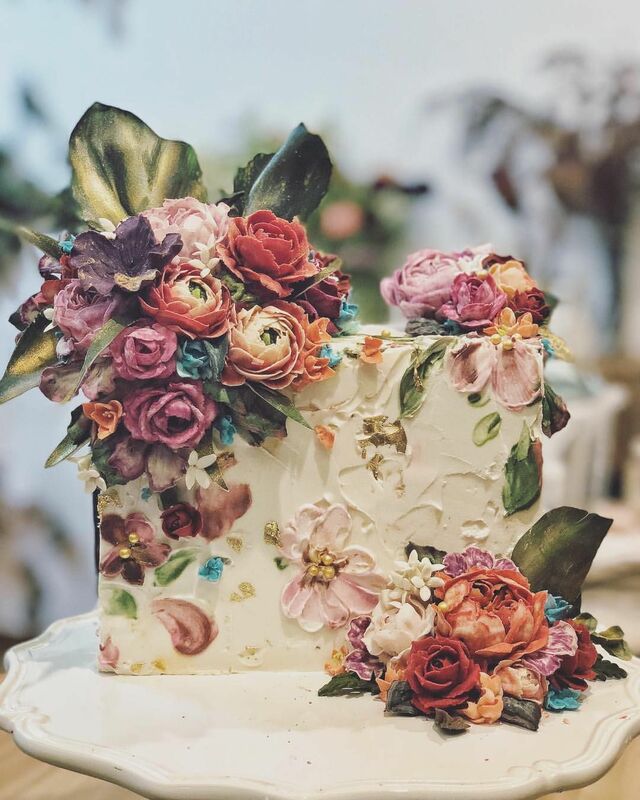 You will thank yourself on your wedding day when every guest is praising your cake and asking what baker you use! I hope some of my suggestions are helpful to you and your partner while choosing a wedding cake. Good luck and happy cake hunting!